Have You Ever Thought About Using A Transcription Service? A transcription service is probably something you never thought about when you started your business. But then again how many services have you started using since you started your business that you never thought you would? You have a website or Etsy site, you may use social media channels you have never used before, Drop Box and maybe even MailChimp. So why would you add transcription service to that list? Let’s just think about this for a minute. If you think of someone dictating their work, who do you see? A solicitor, an accountant, a professor? Why do they do that? It is because time is money and they know that their time is better spent “doing what they do” than typing and other admin. They understand that by outsourcing tedious work they have a higher income. Why Not Just Use Voice To Text Software? 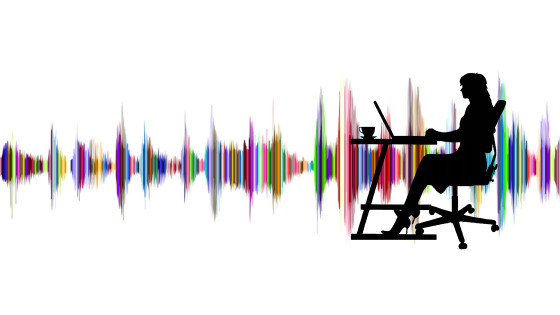 Voice to text software is improving all the time and can be very helpful – if it can understand you! I’ve heard some funny stories about the software typing the VERY wrong thing! Whilst it does type the words you have spoken, what it can’t do is format it, add bold and italics, format a table or a form. The software doesn’t know when you are asking a question and put a question mark. It can’t guess a word for you either. If you say, “You know, that Greek pudding that sounds like balaclava”, that is (hopefully) exactly what it will put. On the other hand, I will be able to guess you mean Baklava. I can insert text directly into your WordPress website or into your Newsletter. Or I can return text as a Word document or a PDF. I listen to how you talk and add the right punctuation. Your life will be so much easier. You talk and get a fully formatted document in return that you can share with pride. Which File Types Can I Transcribe From? The following is a list of known file types from which I can transcribe. If a file type of yours is not shown I’m happy to try it out or attempt to convert it to a type from which I will be able to transcribe. How Much Does Transcription Cost? Call Liz Bailey on 07974 701526 or email me at [email protected] I’m happy to chat about how I can help you out.